Competing Strategies outlines development strategies for small islands within increasingly integrated regional and global economies. Islands provide intriguing lessons in the culture, economics, and management of a sustainable patter of development based on locally proven, home-grown ?good sense,? far removed from continental ?best practices.? 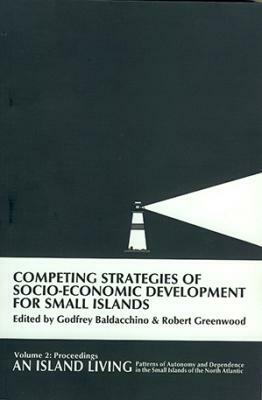 This volume considers two broad frameworks for critiquing small island economic development: internal economic organization and resource management and external integration and dependent development. Case studies focus on the disparate experiences of the Azores, Cape Breton, the Isle of Man, Jersey, Malta, Newfoundland, Prince Edward Island, and the Shetland and Orkney Islands in crafting innovative development approaches. On one hand these seek to maximize the competitive advantage afforded by exploitable resources, and on the other hand, the delicate mechanics of relating to larger, national, and supranational entities. Four other papers by scholars of international repute and a seminal introduction provide a broad overview of key topical debates. This book is Volume 2 in the Island Living Series and consists of 16 papers,13 of which were originally presented at the international conference ?An Island Living: Patterns of Autonomy and Dependence in the Small Islands of the North Atlantic,? convened at Brackley Beach, Prince Edward Island. Participants exchanged views on the social, political, and economic challenges facing 24 small island territories.